I have been on a short story kick as of late! Three of the following volumes are short story collections (two anthologies). 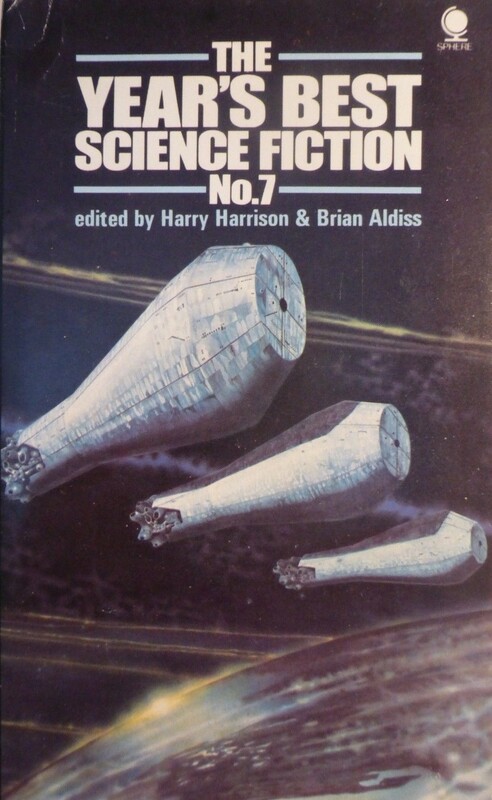 I want to complete the Orbit series, ed. Damon Knight…. 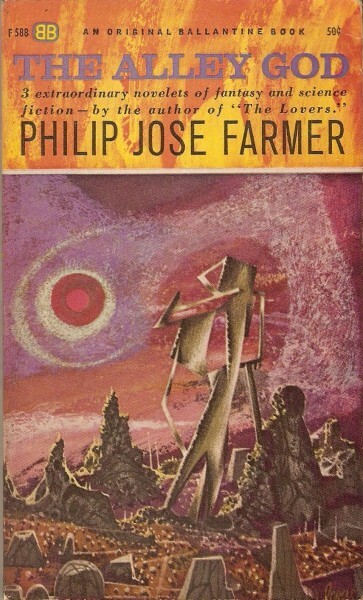 And, well, I have a soft spot for Philip José Farmer’s 50s/60s SF after Strange Relations (1960). 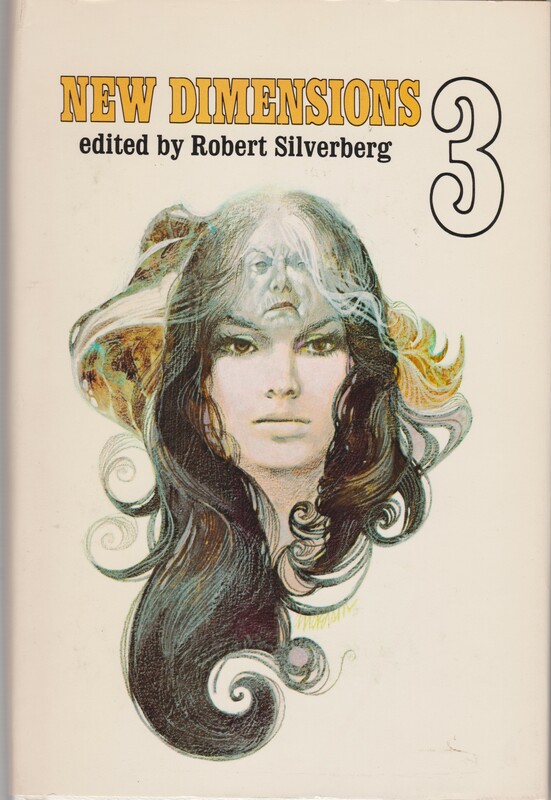 Now, in the three novelets [sic] that comprise THE ALLEY GOD, he combines something of each of these qualities, using as central themes the universal concept of worship and the taboos that surround the human reproductive process. 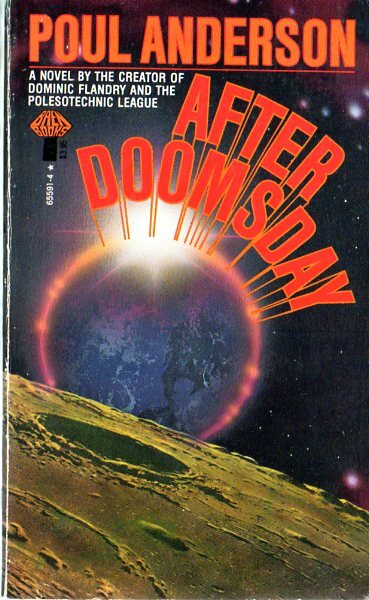 From the back cover: “EARTH HAS BEEN DESTROYED. Which alien race had committed genocide, killing a planet in the process? THE KANDEMIR were interested in salvage rights. THE XO had provided two Earth nations with weapons that could do the job. THE VORLAKm an essentially peaceful race, nevertheless had made a firm treaty with the Russians. The only surviving humans were the astronauts aboard the spaceships Benjamin Franklin and Europa. Men and women together, they would re-establosh mankind—but first they must unmask their enemies and defeat them. 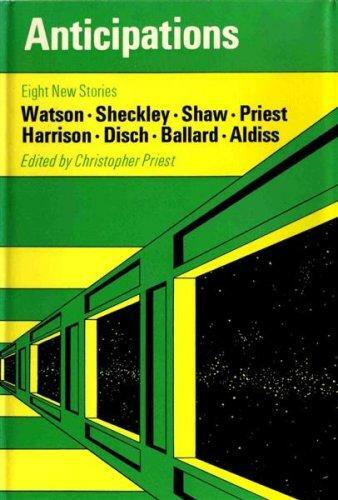 I’ve read the Priest story already (“Negation”) AND Ian Watson’s “The Very Slow Time Machine”. 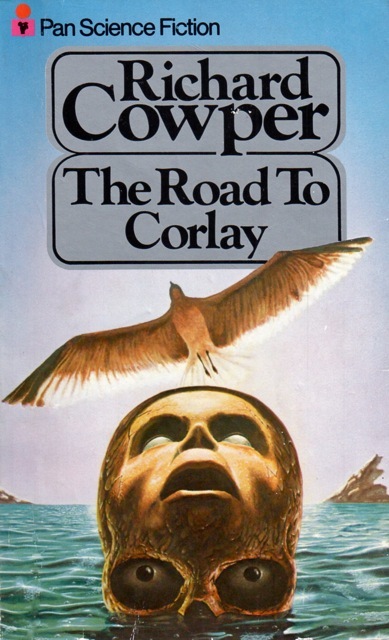 Yeah the cool lines of the cover a ruined by the colour scheme. It turns out I have read the Watson story but a long time ago and I don’t remember it that well. I recently read “The Alley Man” by Farmer and loved it. If the rest of that anthology is as strong, you’re in for a treat. I recently read (but have not reviewed as of yet) Farmer’s Night of Light — the novel version. It was really solid! 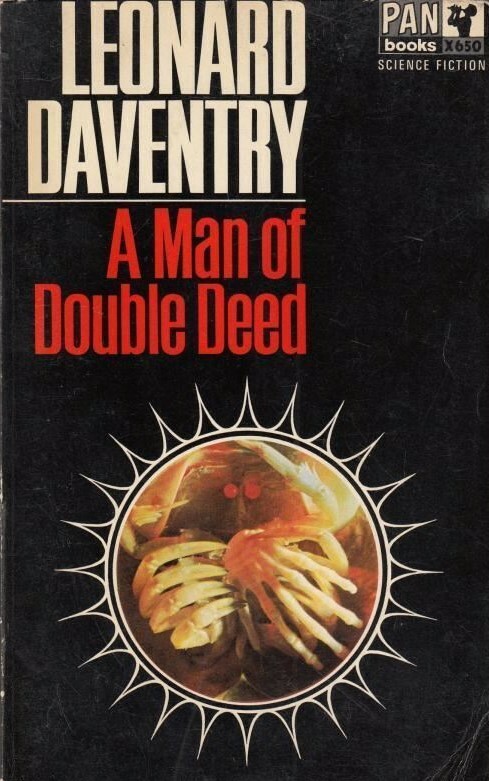 Farmer can put together some of the worst SF I’ve encountered (Riverworld sequels!) and some truly bizarre 50s/60s stuff that I adore…. I did have a particular fondness for Philip J. Farmer’s stuff during my very earliest SF reading days and later.I’ve read over 30 books by him,including “The Alley God” and “Strange Relations”,the latter book particularly impressing me at the time of reading it.I was overawed by “To Your Scattered Bodies Go” upon the initial reading,while “Night of Light”,which I read sometime later,wasn’t bad,but I found patchy. 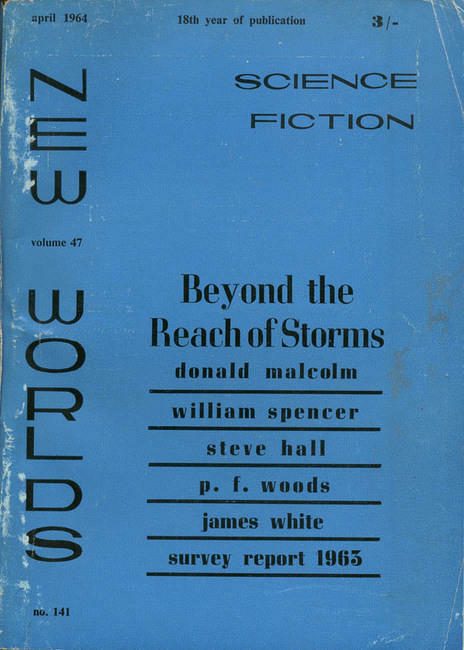 “The World of Tiers” series was an imaginative but flawed and rambling saga.To be honest,the best one in the five volume mini epic,was “Behind the Walls of Terra”,and would probably have been excellent if it could have been a stand-alone novel. A feeling of tiredness later ensued as I read a larger quantity of his books,and my appreciation and loyality began to wane.He was an explorative maverick of the murky depths of SF,that showed him possessing a rich lode in literary and classic lore,such as in novels like “Flesh”but in that one and other books,his authorial style was artless and pitted with scars and fissures.I can’t say he can stand tall besides the very best SF authors,because of this. The best piece he wrote I thought,was “The Jungle Rot Kid on the Nod”,a pastiche of Tarzan,as it would probably have been written by Bill,not Edgar,Burroughs.I don’t know if you’ve read it,but it could and can be found in the “Riverworld and other Stories”,that includes the oringinal “Riverworld” novella.I think I assume your enthusiasm for his 50/60s stuff,his largely for his short stories. Yes well ok,but I thought since I’ve read only just short of 35 books by him,that I was entitled to air my views about his work.I didn’t read the Tarzan parodies or pastiches “Tarzan Alive” or “Lord Tyger” however,despite the large volume of his stuff I’ve read,which is probably a shame,as they might be among his very best,if not his best books,from what I know about them.The subject of Tarzan wasn’t attractive to me I think,despite his iconoclastic attitude,and didn’t bother once I’d tired of reading so much of his stuff. If and when you read the one you’ve got,and if you also did manage to then get around to reviewing it,I might go after them. Thank you for your enjoyable post. Yeah, Tarzan isn’t that interesting to me either — but, I rather read a deconstruction of a popular story than some banal reimagining… we shall see. 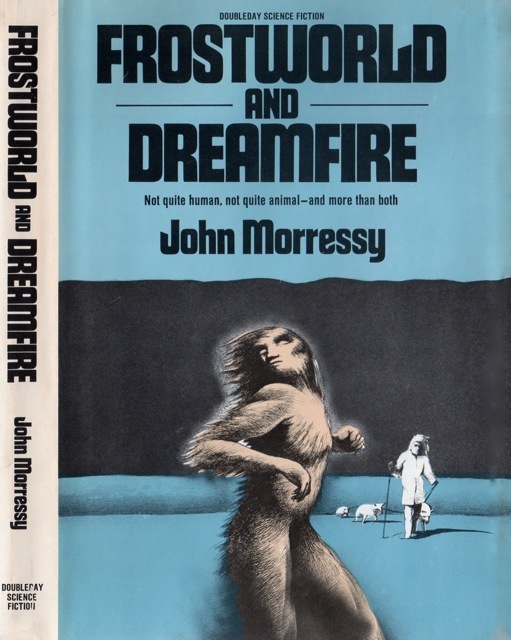 Well,Farmer’s short story reimagines Tarzan as an idiomatic African native.I don’t think you can get a plainer deconstruction than that! 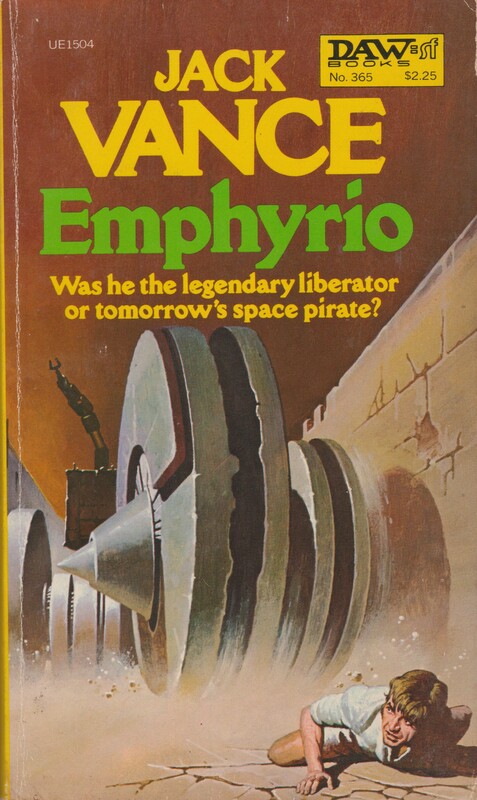 I looked at your earlier post featuring the covers for “Lord Tyger”.I’ve seen them there before,but sounds like a pretty good book.David Pringle said it was his masterpiece,but was also careful to point out it wasn’t science fiction. Have you ever read the The Other Log of Phileas Fogg? The idea of it intrigues my sometime steam powered brain. I have a copy but have yet to get around to it because I suspect it will be crap. 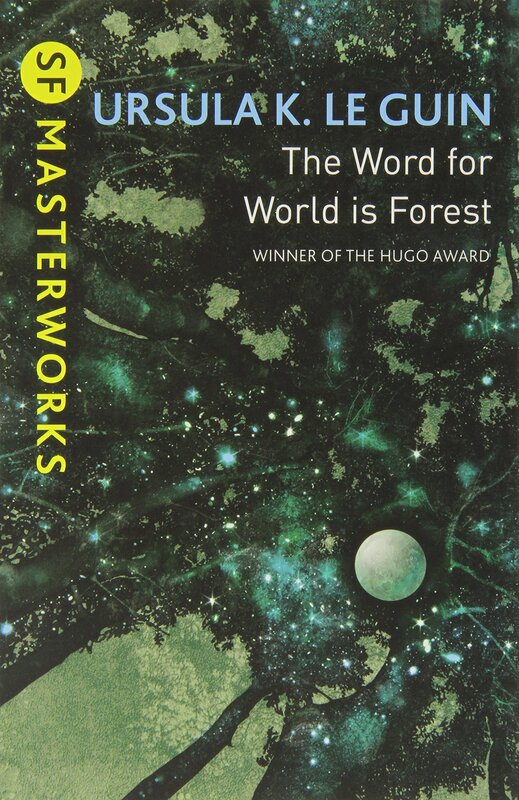 “To Your Scattered Bodies Go” would have probably become a classic SF novel if the entire series and it’s mysteries had been condensed and resolved within a single,longer book.It was an overly complex and ambitious premise that Farmer didn’t have the brilliance to handle skillfully and turn into a concise and meaningful work. I have read “The Other Log of Philias Fogg”,but yes,it is “crap”.The actual idea was probably intriguing,but thematically it’s opaque with no examining of the mysterious Fogg and it’s concepts,and is really just a rambling,boring adventure tale. He never really consolodated his best assetts,which seemed to lie in shorter pieces.He did have an ability to write good,readable,narritive prose,but lacked the stamina it seemed to maintain it at greater length.He was too prolific for his own good and what he was worth,but I have to say it was probably as much out of commercial gain and necessity,as literary ambition. Another interesting haul Joachim, I have the same copy of Farmer’s Alley God with the Powers cover – a very enjoyable read too. All the best. I found PJF very enjoyable at first, esp. things like “Riders of the Purple Wage,” which is kind of like CLOCKWORK ORANGE as a screwball comedy. His short stories were fun. His books were sort of routine adventures, enjoyable to read when you’re in that mindset, but they don’t really leave much behind. 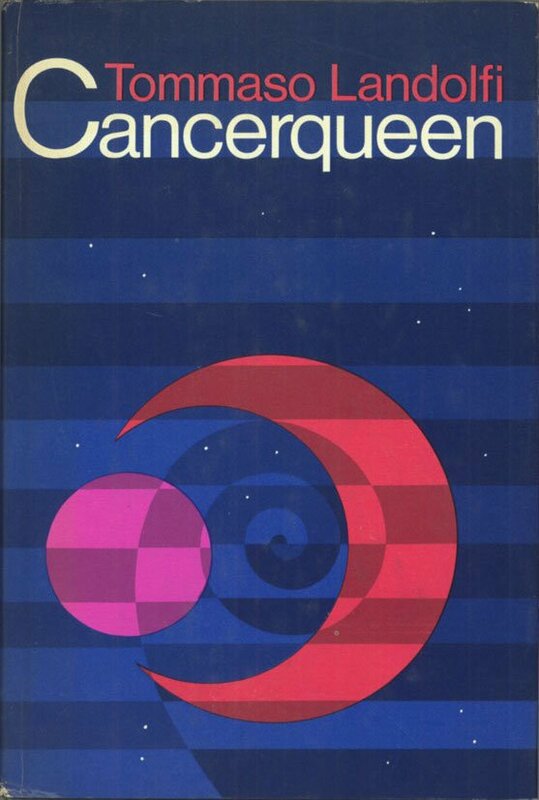 Damon Knight is sort of the reverse: As a kid I found all that stuff boring experimental time-wasters, but I have picked up a few of his anthologies over the years, and they’re at the very least surprising. 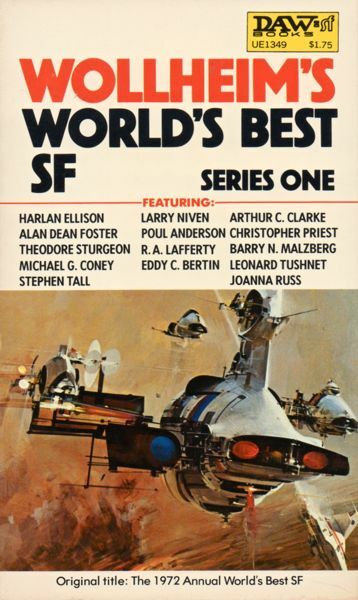 I guess at the end of the day I enjoy more SF novels by some of the one-offs, and like short stories by the big names whose novels don’t do much for me. It’s always fun to see the stuff you turn up in these used purchases. Hope you are doing well with school, life, etc. PJF wrote a story about Tarzan and Doc Savage that was, well, certainly different. But after awhile it just seemed like when you’re parodying and mocking stuff that’s junk to begin with, it’s kinda pointless. I’ve never read Edgar Rice Burroughs,so I don’t know exactly what his original Tarzan was like.If it wasn’t for films and tv,he’d have remained unknown to so many of us I assume,unless we’d read the author. I suppose Philip J. Farmer based his books on the Burroughs character,not the one known from screen entertainment,even though I suspect from what I’ve read about the original version,that his presentation was shallow.I suppose that would be the point of spoofing it,to lay open the flaws and then examine and recreate a very old cliche into a human character. I assume Burroughs based Tarzan on a true incident of a person brought up alone in the jungle,but obviously never sought to create a fully realised character,but prehaps Farmer would have had this in mind.How skillfully he would have crafted this,is another matter. 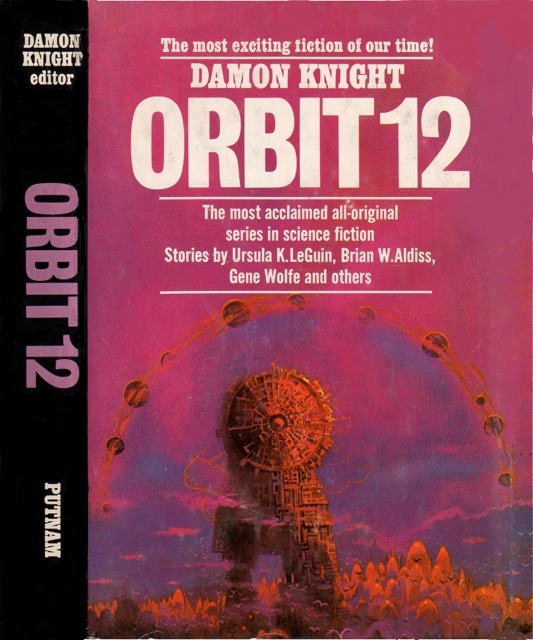 Orbit 12 was one of the first books I received from the Science Fiction Book Club and it influenced my reading habits for years to come. Shark and The Red Canary made a big impression on me at the time, although I remember enjoying all of the stories at the time. I wonder how well most of them hold up today. Perhaps it’s time for a reread? 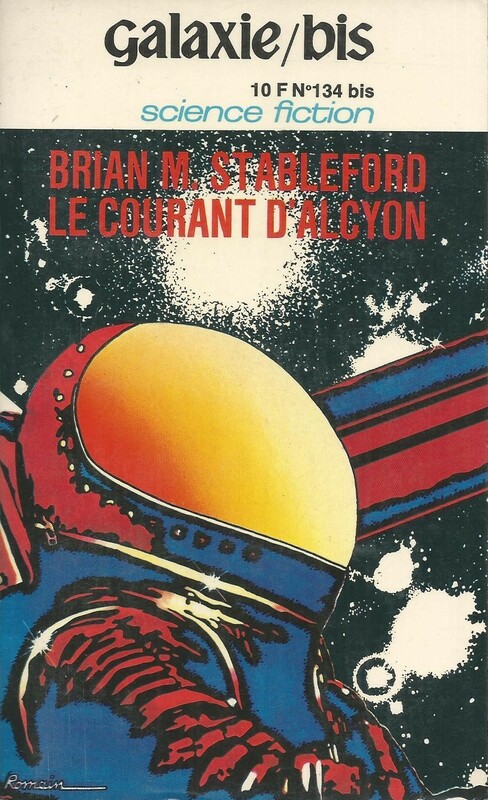 I can imagine it would be quite formative… Unfortunately, I didn’t read anything in this milieu for years after I started reading SF.